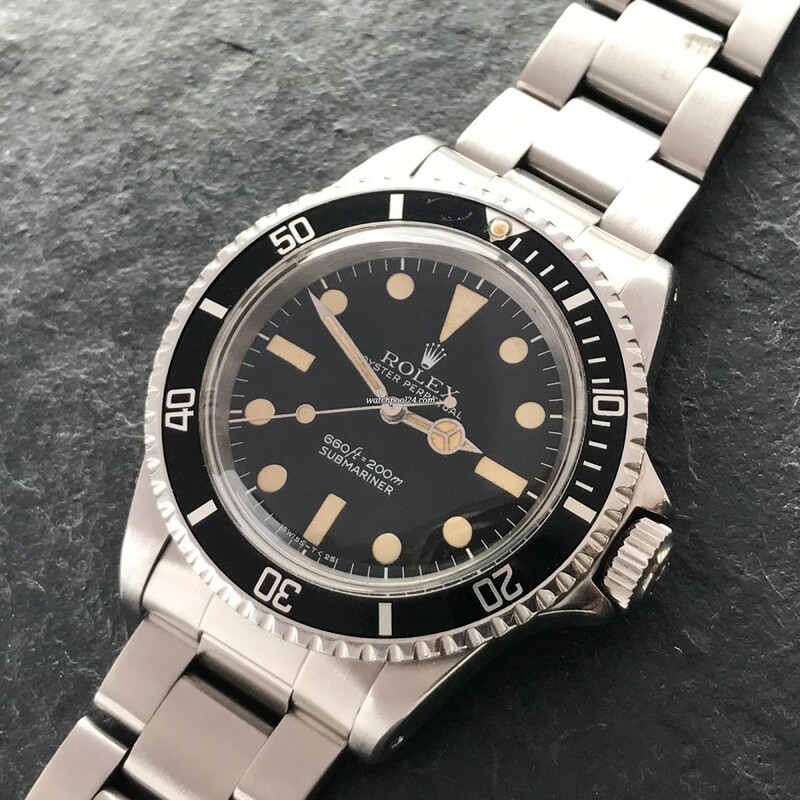 This is a beautiful example of the 1977 Rolex Submariner 5513 (No Date) diver's watch. Compared to the previous dial versions, this one has larger tritium hour markers. Therefore, this Submariner 5513 is also referred to in the collector circles as Maxi Dial. Among the Maxi Dials, there were again 5 subversions, our watch here is the first Maxi Dial execution. It is the last Submariner with "SUBMARINER" written below the depth rating. For all subsequent Submariner versions, this lettering is above the depth. The watch comes in an greatly overall condition with very few signs of wear on the case. The rotating steel bezel is sharp and has the original intact pearl at 12 o'clock. The black bezel insert has a tiny scratch between 11 and 12 o'clock, otherwise it's in perfect condition. The matte black dial has also been greatly preserved. While looking at the watch one can see the beautiful aging of the original tritium lume, which has become a bit creamy. The heart of this reference 5513 is the automatic movement of caliber 1520. The screw-down Rolex triplock crown winds up the movement very smoothly. The watch was checked by our watchmaker. It works properly keeping very good time. The legendary diver's watch made by Rolex stays a favorite vintage watch in the collector's world. This Rolex Submariner 5513 is a beautiful daily watch and a great addition to any vintage collection.